Howdy! We are the folks behind a variety of products and services designed to allow anyone — from bloggers, to photographers, small business owners, and enterprises — to take full advantage of the power and promise of eLearning. 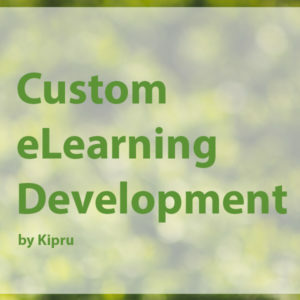 Our mission is to democratize creation custom eLearning content and commerce so that anyone with a story can tell it, and anyone can turn their great idea into a livelihood on eLearning sector. Basic Account Information: We ask for basic information from you in order to set up your account. For example, we require individuals who sign up for a Kipru.com account to provide an email address along with a username and/or name, and that’s it. You may provide us with more information – like your address and other information you want to share – but we don’t require that information to create a Kipru.com account. Public Profile Information: If you have an account with us, we collect the information that you provide for your public profile. For example, if you have a Kipru.com account, your username is part of that public profile, along with any other information you put into your public profile, such as a photo or an “About Me” description. Your public profile information is just that — public — so please keep that in mind when deciding what information you would like to include. Transaction and Billing Information: If you buy something from us –a subscription to a Kipru.com plan, template, a premium theme, custom eLearning development services, or any thing that sells on Kipru.com, for example – you will provide additional personal and payment information that is required to process the transaction and your payment, such as your name, credit card information, company information, and contact information. Content Information: Depending on the Services you use, you may also provide us with information about you or your company in draft and published content (such as for your website, for your project, for your eLearning content or raw course content). For example, if you write a blog post and/or send a storyboard for your eLearning project that includes biographic information about you or your company, we will have that information, and so will anyone with access to the Internet if you choose to publish the post publicly. This might be obvious to you…but it’s not to everyone! Credentials: Depending on the Services you use, you may provide us with credentials for your website or Learning Management System(LMS) (like SSH, FTP, LMS, and SFTP username and password). For example, Managed Learning Management System Service users may provide us with these credentials in order to get benefits, manage or to allow us to troubleshoot problems on their site and/or Learning Management System more quickly. Communications with Us (Hi There! ): You may also provide us information when you respond to surveys, communicate with our team members/employees about a support question, post a question about your site, or Learning Management System in our public forums, or sign up for a newsletter like the one we send through email service provider, in this case MailChimp. When you communicate with us via form, email, phone, Kipru.com comment, or otherwise, we store a copy of our communications (including any call recordings as permitted by applicable law). Log Information: Like most online service providers, we collect information that web browsers, mobile devices, and servers typically make available, such as the browser type, IP address, unique device identifiers, language preference, referring site, the date and time of access, operating system, and mobile network information. 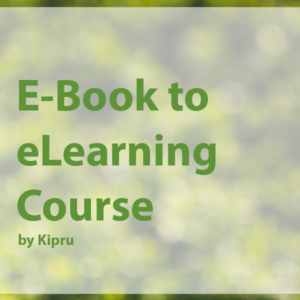 We collect log information when you use our Services–for example, when you create or make changes to your Kipru.com account on Kipru.com. Usage Information: We collect information about your usage of our Services. 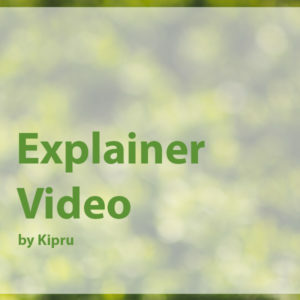 For example, we collect information about the actions that site administrators and users perform on a site using our Kipru.com or products/services–in other words, who did what, when and to what thing on a site (e.g., [Kipru.com username] deleted “[any information]” at [time/date]). 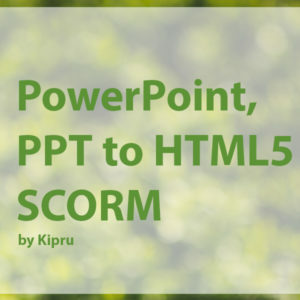 We also collect information about what happens when you use our Services (e.g., page views, support document searches at Kipru.com, features enabled for your LMS, interactions with our Admin Bar and other parts of our Services) along with information about your device (e.g., screen size, name of cellular network, and mobile device manufacturer). We use this information to, for example, provide our Services to you, as well as get insights on how people use our Services, so we can make our Services better. Stored Information: We may access information stored on your mobile device via our mobile apps or mobile website. We access this stored information through your device operating system’s permissions. For example, if you give us permission to access the photographs on your mobile device’s camera roll, our Services may access the photos stored on your device when you upload a really amazing photograph of the sunrise to your website. We may also get information about you from other sources. For example, if you create or log into your Kipru.com account through another service (like Google) or if you connect your website or account to a social media service (like Twitter), we will receive information from that service (such as your username, basic profile information, and friends list) via the authorization procedures used by that service. The information we receive depends on which services you authorize and any options that are available. To personalize your experience using our Services, provide content, service, or product recommendations, target our marketing messages to groups of our users (for example, those who have a particular plan with us or have been our user for a certain length of time), and serve relevant advertisements. To Protect Rights, Property, and Others: We may disclose information about you when we believe in good faith that disclosure is reasonably necessary to protect the property or rights of Kipru, third parties, or the public at large. For example, if we have a good faith belief that there is an imminent danger of death or serious physical injury, we may disclose information related to the emergency without delay. That means, of course, that information like your public profile, posts, other content that you make public on your account, and your “Likes” and comments on other posts, pages, are all available to others–and we hope you get a lot of views! For example, the photo that you upload to your public profile, or a default image if you haven’t uploaded one, is your Globally Recognized Avatar, or Gravatar — get it? :). Your Gravatar, along with other public profile information, will display with the comments and “Likes” that you make on other users’ websites while logged in to your Kipru.com account. Your Gravatar + public profile information may also display with your comments, “Likes,” and other interactions on websites that use our Gravatar service, if the email address associated with your account with us is the same as the email address that you use on the other website. For example, we keep the web server logs that record information about a visitor to one of Kipru’s websites, such as the visitor’s IP address, browser type, and operating system, for approximately 30 days. We retain the logs for this period of time in order to, among other things, analyze traffic to Kipru’s websites and investigate issues if something goes wrong on one of our websites. As another example, when you delete a post, page, information or comment from your Kipru.com account, it stays in your Trash folder for thirty days just in case you change your mind and would like restore that content — because starting again from scratch is no fun, at all. After the thirty days are up, the deleted content may remain on our backups and caches until purged. Limit the Information that You Provide: If you have an account with us, you can choose not to provide the optional account information, profile information, and transaction and billing information. Please keep in mind that if you do not provide this information, certain features of our Services — for example, paid subscriptions, services, produtcs, premium themes–may not be accessible. Set Your Browser to Reject Cookies: At this time, Kipru does not respond to “do not track” signals across all of our Services. However, you can usually choose to set your browser to remove or reject browser cookies before using Kipru.com and/or Kipru’s websites, with the drawback that certain features of Kipru.com and/or Kipru’s websites may not function properly without the aid of cookies. Close Your Account: While we’d be very sad to see you go, if you no longer want to use our Services 🙁 🙁 🙁 :(, you can close your account (for example, for Kipru.com accounts). Please keep in mind that we may continue to retain your information after closing your account, as described in How Long We Keep Information above — for example, when that information is reasonably needed to comply with (or demonstrate our compliance with) legal obligations such as law enforcement requests, or reasonably needed for our legitimate business interests. Kipru’s Services are worldwide. Kipru company is the controller of personal information, which means that the company responsible for processing that information, based on the particular service and the location of the individual using our Services. Kipru uses third party software such as Adobe Captivate or any other authoring tools. We don’t own or control these third parties, and they have their own rules about collection, use, and sharing of information, which you should review before using the software or services.